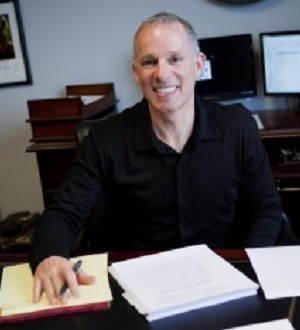 Bryan J. Waldman is a partner at Sinas Dramis Law Firm and has dedicated his career to representing people in wrongful death and personal injury cases in Michigan. Bryan has extensive experience handling various types of personal injury claims, including semi-truck collisions, bicycle accidents, medical malpractice, nursing home neglect, product liability, automobile negligence, premises liability and railroad cases (crossing liability, derailments, and FELA). A substantial portion of Bryan's practice has been devoted to representing persons who have suffered traumatic brain injuries. He has obtained numerous multi-million dollar results for his clients, including a medical negligence wrongful death verdict of $10.68 million. In 2003-2004, Bryan served as President of the Michigan Trial Lawyers Association (now the Michigan Association for Justice). He has received an "AV" (highest) rating from the Martindale-Hubbell American Law Dictionary, indicating preeminent legal ability and very high ethical standards. He has been named as a Michigan Super Lawyer in the area of plaintiff's personal injury every year since 2006, and has been included in Best Lawyers in America in the area of personal injury law. In May 2007, he was appointed by the Governor of Michigan to sit as a Member of the Civil Service Commission and was elected Chair of the Commission in September 2007. Bryan, a competitive cyclist, has been recognized for his advocacy efforts, particularly in the realm of bicycle law. In 2017, he was named "Michigan Cyclist of the Year" by Programs to Educate All Cyclists (PEAC) and, in 2013, he received the "Bicycle Advocacy Award" from the League of Michigan Bicyclists. In his free time, Bryan enjoys cycling and running with friends. He frequently competes in USA Cycling sanctioned races.